There goes Downtown Jax! Courtesy of Toho Co., Ltd.
Jacksonville has long embraced what we at The Jaxson call the Godzilla strategy of urban development. The idea is that old buildings are fundamentally inadequate for the needs of tomorrow, so we’re better off leveling them like a kaiju. In this strategy, it’s less important to have a clear plan for the resulting lot - see the City Hall annex and the old Gulf Life Insurance Building - than to simply get rid of buildings. 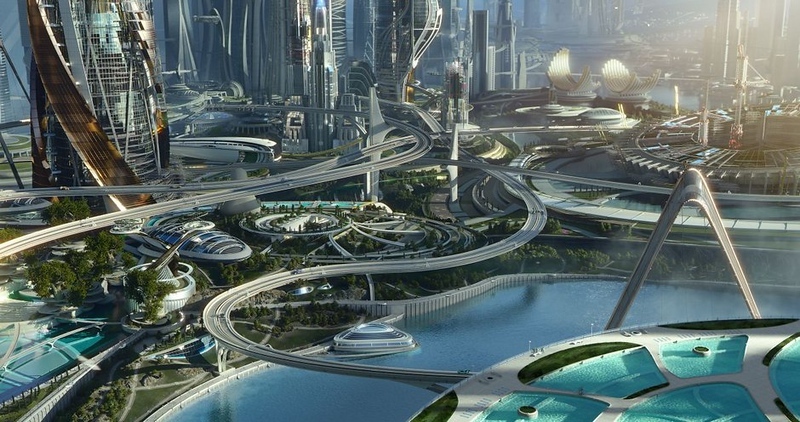 The thinking goes that a cleared lot is a fallow field from which will assuredly spring the glorious towers of tomorrow, readymade for the offices of tomorrow, the apartments of tomorrow, and the artisan cocktail rooftop bars of tomorrow. If we can just raze enough of these dingy old buildings, the city will look like Tomorrowland in no time. 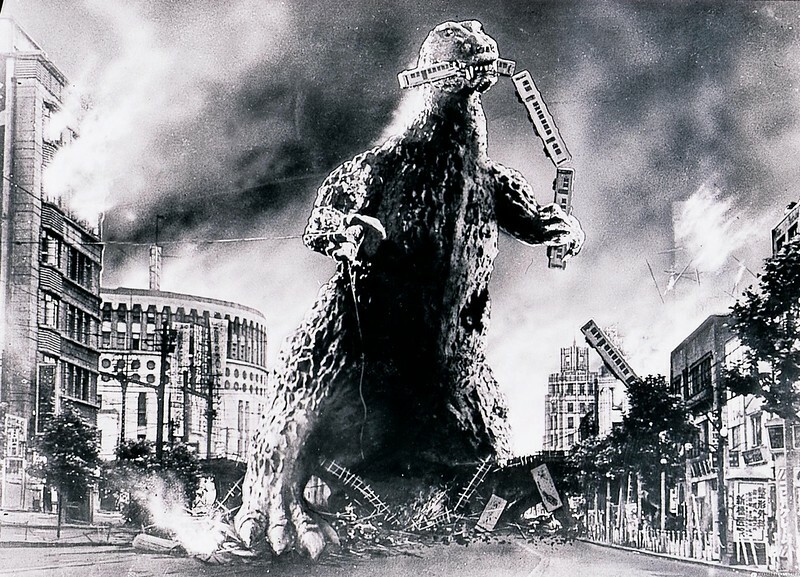 There’s one problem with the Godzilla strategy: it doesn’t work. Somehow, simply removing buildings doesn’t guarantee that something new or better will get built anytime soon. Downtown Jacksonville abounds with proof of this. In the last 50 years, Downtown has seen far more demolition than new construction, leaving much of the area a moonscape of exposed foundations and surface parking despite the millions spent in downtown development. There are far more empty lots and other dead spaces downtown than occupied buildings. And more is coming: as Scott Gaillard noted in Folio Weekly, between the Landing, old City Hall, old Courthouse, Metropolitan Park and the Hart Bridge ramps, the city is set to spend over $60 million leveling several blocks of property with no clear plan. Even when new construction does appear, sometimes decades later, it frequently pales in comparison to what was there before. Parking garages and low-density offices are no replacement for the high-density, mixed used historical buildings that once generated a vibrant downtown. Even beyond the dead space, the Godzilla strategy’s costs are steep. There’s the loss of the city’s history, building fabric, and density. There’s also an opportunity cost in removing an option for businesses to rehab existing buildings, rather than having to spend millions erecting new ones from scratch. Oh, there’s also the millions of taxpayer dollars that are often pumped into these clearance projects, with no discernable return on investment. That too. There’s no reason to think the Landing will be different than any other Downtown demolition. It would cost tens if not hundreds of millions to create a good urban park the size of the Landing, on top of the $18 million we’d spend just to demolish it. The City of Jacksonville is simply not going to spend that. More likely, it will just be another cheap, passive green space like the Shipyards and Metropolitan Park. The Godzilla strategy was popular across the country in the 1950s, 60s, and 70s, as cities struggled to find ways to turn around their declining centers. However, most cities have learned that demolishing buildings and not replacing them is counterproductive to the goal of creating a vibrant downtown. In fact, Jacksonville may be one of the few cities of its size that still goes this route after decades of failure. The Godzilla strategy is one of the main reasons Jacksonville’s downtown lags so far behind its peers - while other cities look for ways to infill lots, or at least follow demolition with new construction, we’re still creating more dead space. This can be seen in the usual approach to festival marketplaces. Other cities that spent millions to build them have decided against spending millions more just to level them again. Instead, they’ve gone the path of adaptive reuse to find a new way to get use out of their aging buildings.